During traveling, one of the thing that must be my goal is culinary. By searching for unique and authentic world of foods. 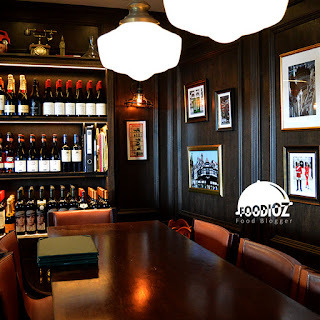 During my experience so far, one of the chef I admired most is Gordon Ramsay, a popular Celebrity Chef in the world with several TV shows, and a restaurateur who have been expert in a restaurant business around the world. On my Hong Kong trip this time, I visited one of the restaurant under the name London House, located in a fairly heavily populated area of Tsim Sha Tsui, with its many stores and outlets and views of Victoria Harbor, a stretch of blue sea with views of the city buildings in the distance . 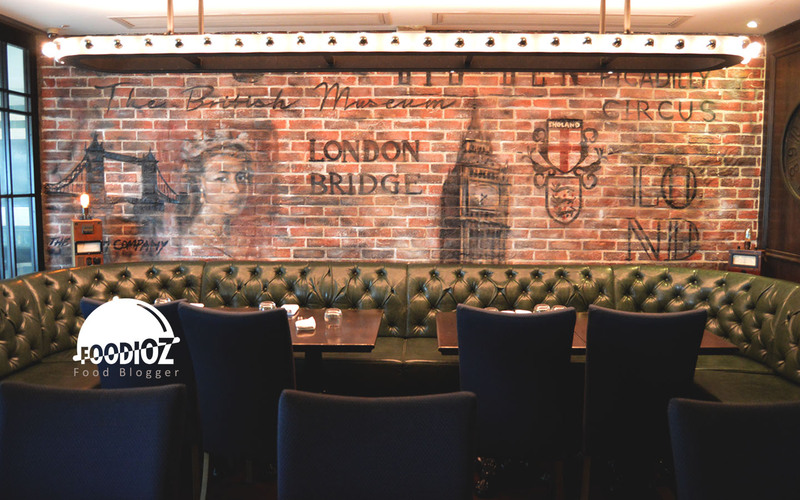 With the concept of British-style bar and restaurant, from a distance can be seen with the nameplate is quite eye catching. 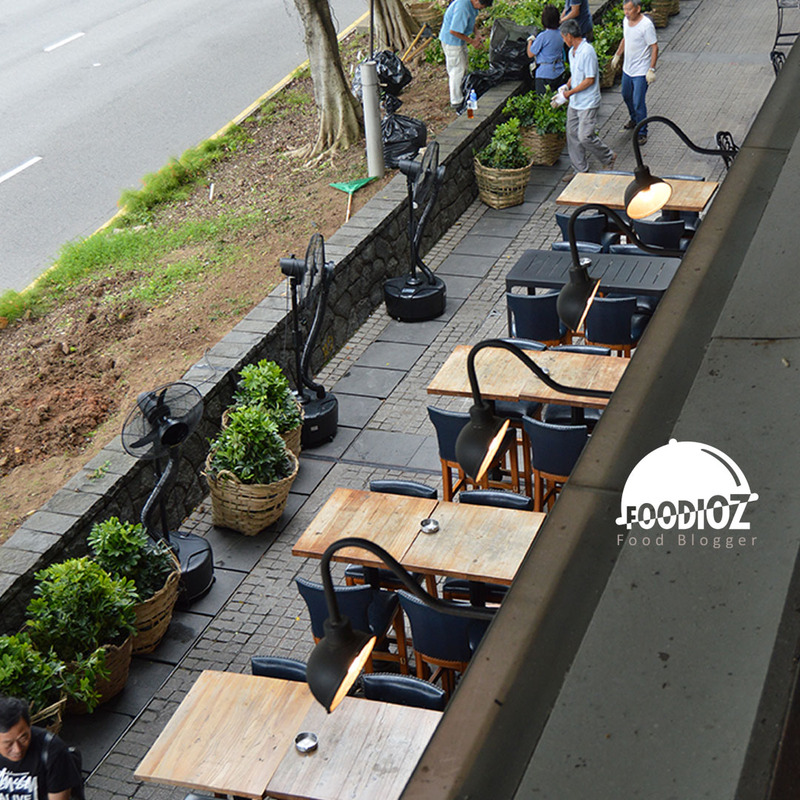 Dark colors dominate the entire restaurant, available indoor, outdoor and also there is the second floor. 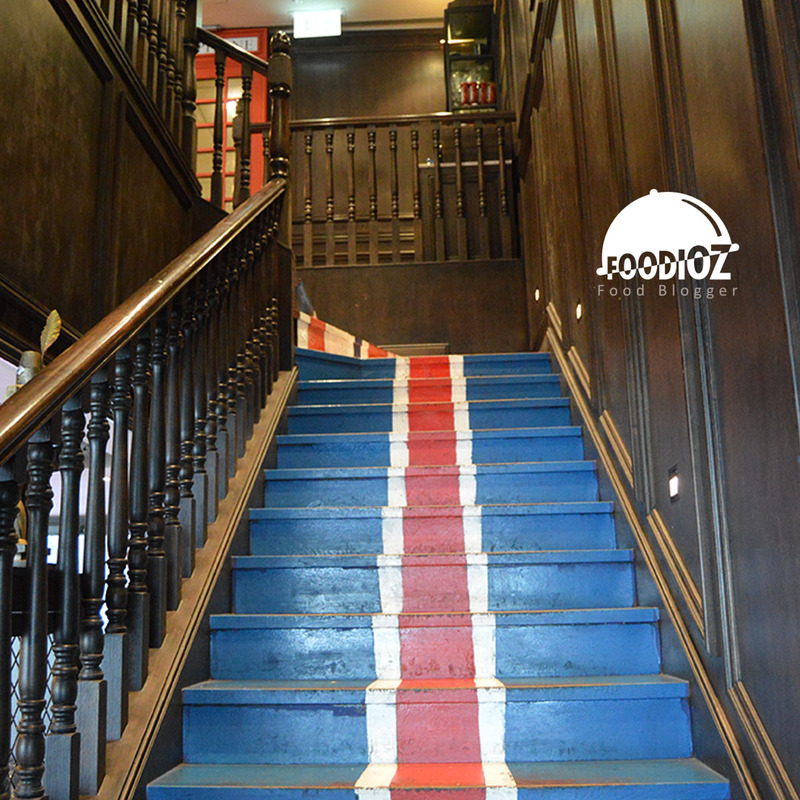 Seen the stairs to the second floor dominant with the blue and red colors that symbolize the United Kingdom flag. This time I sat in the outdoor section where I could feel the cool sea breeze and could see the outside scenery more closely. 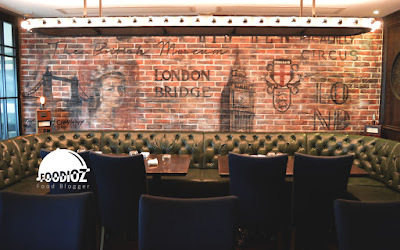 The menu offered is still around British food such as fish & chips, burgers & mash, or classic grill food. 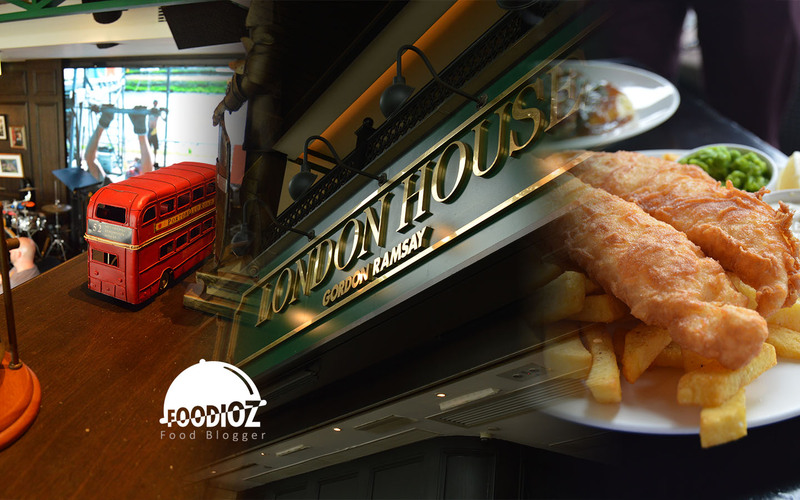 Based on some articles I read, what to try here is the classic Fish & Chips Gordon Ramsay is already famous. 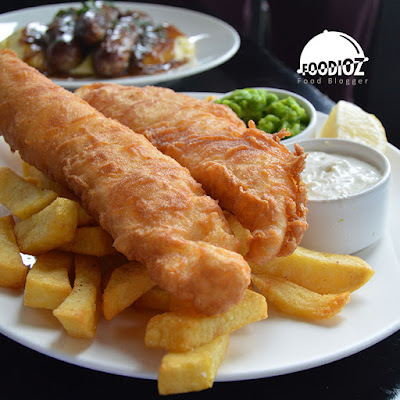 The presentation looks like the fish & chips we usually find in Jakarta, it's just that here, the fish is just wrapped in flour and fried without much seasoning so that the fresh fish taste really tasted. Served together with crushed peas and tar tar sauce separately. The fish has a solid and non-greasy, to add more taste, we may use the sauces that have been provided. This is very different from the fish & chips in Jakarta which tend to be tasty or more seasoning. But here more plain because not many spices are used, which is why provided some dressings to add more flavor. Then, I also tried Bangers & Mash with Onion Gravy. Two large pieces of meat sausage, a fragrant and seductive looks. 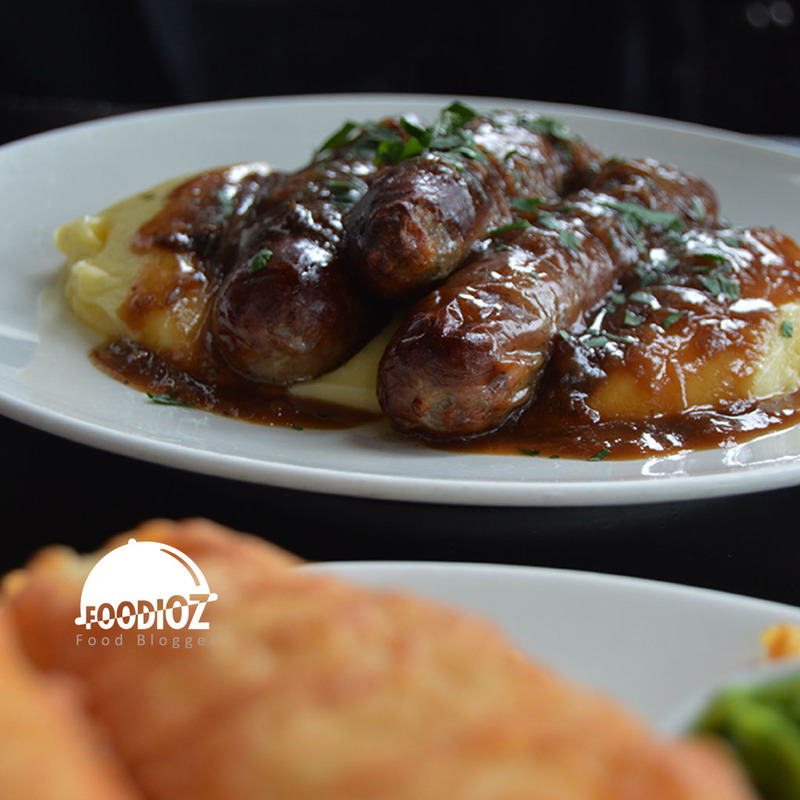 Meat was so juicy with a soft texture, combined with mashed potato soft and milky enough. The savory flavor was so strong it really gives you amazing pleasure. And this is a menu with a large serving I think. 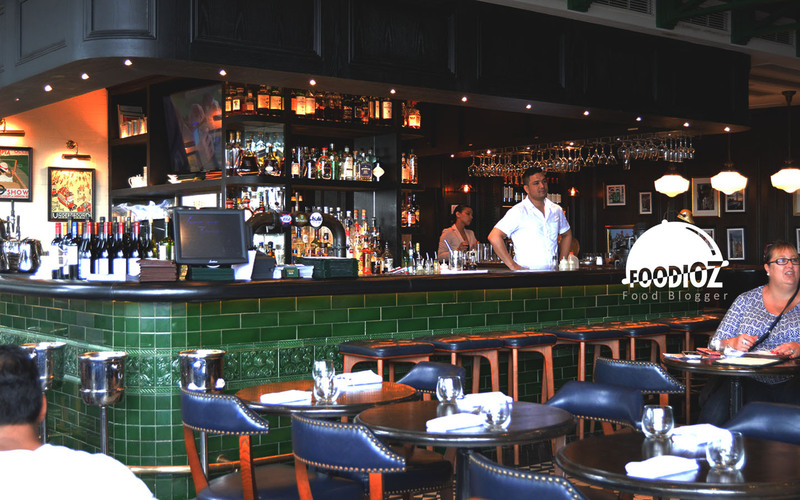 In addition to food, London House also offers a wide range of cokctails, beer. But because I visited here during the day so did not plan to drink alcohol. With his famous name and good food quality, no wonder there is also a fairly high price offered. 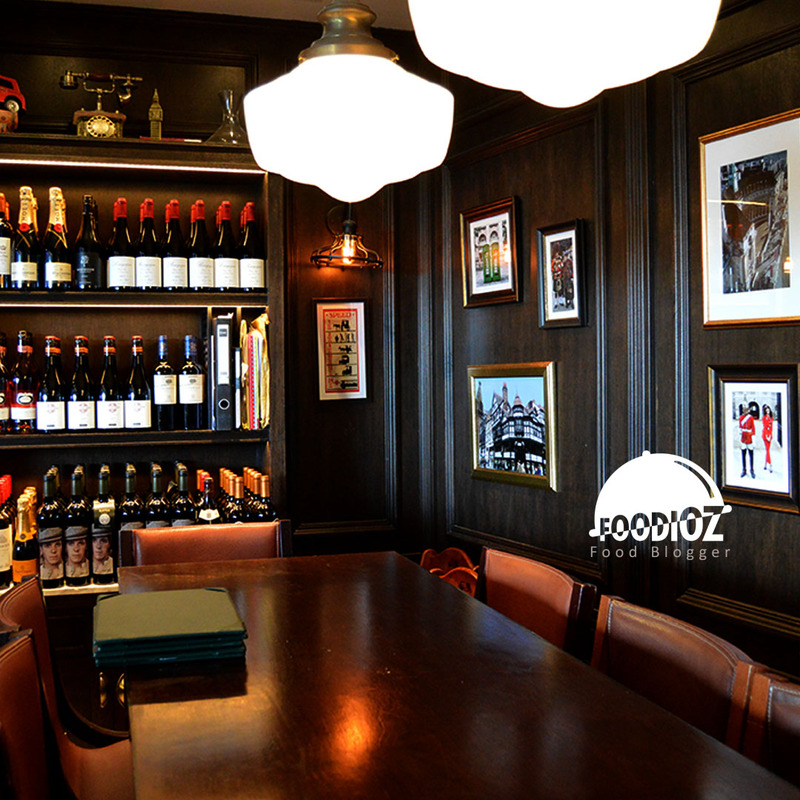 With good food quality, comfortable enough, as well as fast service is certainly also a part of this restaurant. 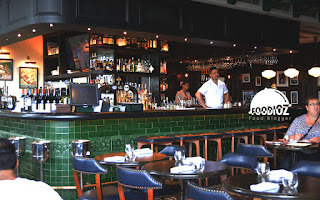 I can say for a few times trying out Gordon Ramsay's restaurant, it's all quite satisfactory.